(Mushrooms) When most people think of edible mushrooms, they picture these common white ones. 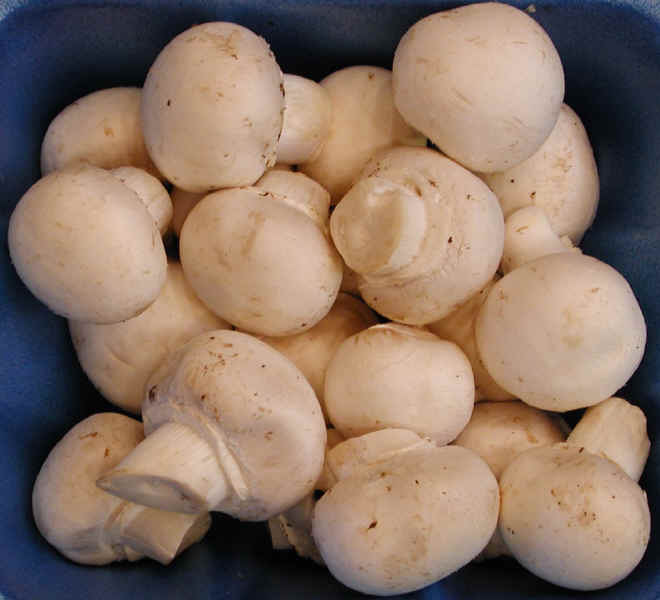 Choose mushrooms that are white and have few brown spots, such as the ones in this photo. 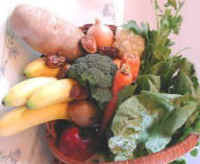 Mushrooms are a good source of many vitamins and minerals. See the nutritional chart below for raw and cooked mushrooms.